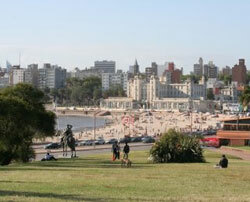 Parque Rodó, (a prime area) with beautiful beaches and the atmosphere of a leafy American suburb, is one of four affluent neighborhoods in Montevideo (the others being Punta Carretas, Pocitos and Buceo) where properties are much sought after by tourists, expats and investors. Its luxurious facilities include tennis courts, a sports club, a playground with a Ferris wheel and bumper cars, and a casino. Parque Rodó is only a few minutes away from the city’s rambla (coastline avenue) and the Playa Ramirez.